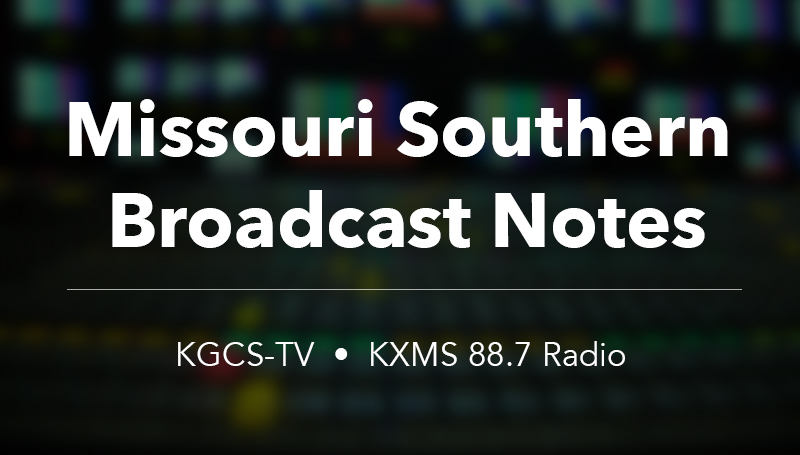 The broadcast stations at Missouri Southern State University have shared programming information for the campus and community. “Newsmakers” interviews will feature a look at the Missouri Southern Board of Governors and support for area breast cancer victims. MSSU Board of Governors Chair Mitch McCumber is the guest on the “Newsmakers” interview airing the week of April 3. He discusses his background as an MSSU graduate, the role of the board, and business matters facing the governing board. The interview airs weeknights and is also posted on the station’s YouTube channel. Services provided for area breast cancer survivors are the topic of discussion for “Newsmakers” the week of April 10. The program features Amanda Gish, sharing her experiences, and Wendy Chrisenbery, sharing information about support programs. Both programs will also air on KOAM-TV at 5:30 a.m. on Saturday mornings. New programs are set to debut on KXMS, which will celebrate its 31st year on April 5. “Melodically Challenged,” a poetry show, will air at 3 p.m. on Fridays. “Notas Latinas,” featuring Spanish and Latino music, will follow at 4 p.m.